It has been pretty quiet around here at FISHING UNITED .com as I a number of other for-hire and recreational fishermen have been working on forming a NYS fishing organization due to the unending issues impacting and effecting what ALL OF US can do and take home at the end of a fishing day. Please take a few minutes to read what the President of the organization has to say, and then I will list the people directly involved. The NY RFHFA is a not for profit, grass roots political action organization. 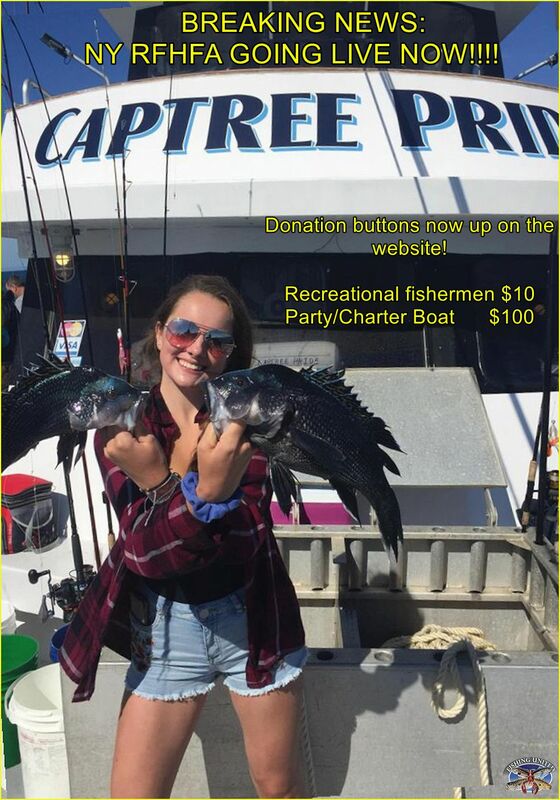 100% of our members donations go to fighting for your right to fish. 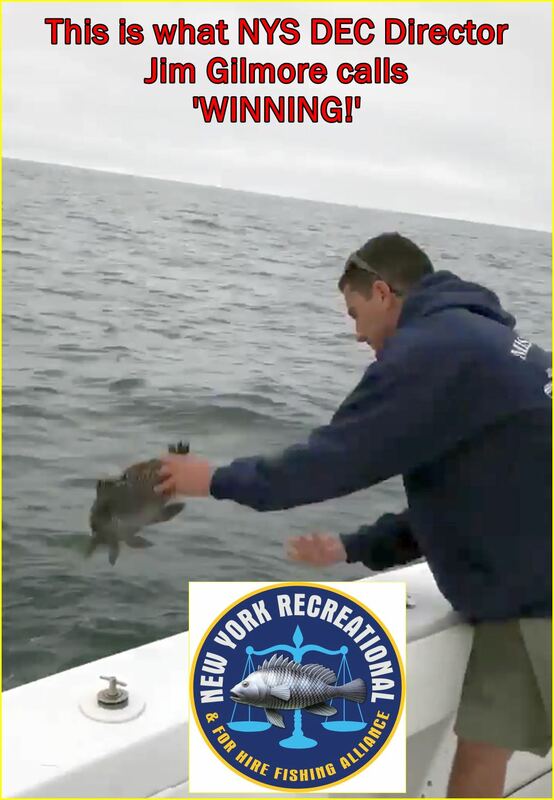 A 501c(4) political action organization, the NY RFHFA is on the front line in NY, lobbying, meeting with and educating decision makers to make sure that the interests of the recreational fishing community in New York's Marine District are heard loud and clear. We are your voice attending all New York State DEC meetings, and pressuring the DEC to take a stand, and push back on a federal level for what is fair and equitable for its stake holders in this state. We will call out corruption in the system wherever we see it, and push for the best possible recreational advisors on the DEC's advisory council. We will be your voice at the federal meetings, and continue to bring bogus science and data to light. PATCHOGUE, NY - Congressman Lee Zeldin (R, NY-1) just announced the Fiscal Year 2018 Army Corps of Engineers Workplan was released today, including $12 million in funding for the completion of the Army Corps approved emergency dredging of Moriches Inlet. Sand removed from Moriches Inlet will be placed at Smith Point County Park to address beach erosion. Additional engineering details as laid out in the Army Corps solicitation for contracts to carry out the dredging, which was issued on May 22nd, can be viewed here. 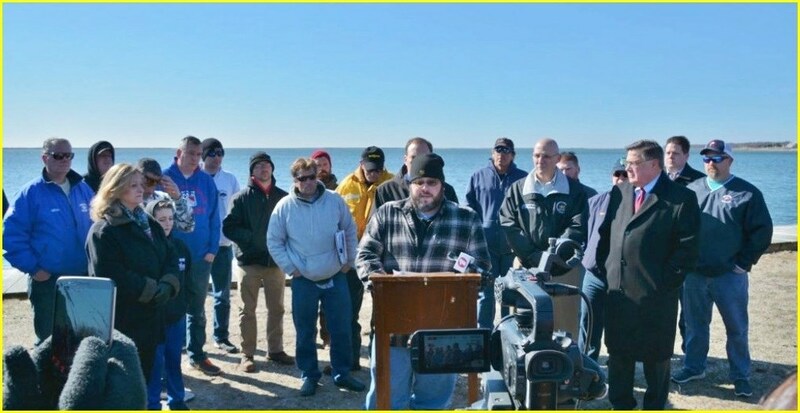 In March, Rep. Zeldin was joined by local elected officials, small businesses, boaters and fishermen in calling for an emergency dredge of Moriches Inlet during which Congressman Zeldin joined local fishermen to survey the inlet’s dangerous navigational conditions first-hand. In April, Rep. Zeldin worked with the Commander of the U.S. Army Corps New York District, Colonel Thomas Asbery, to receive the needed Emergency Declaration from the Army Corps of Engineers North Atlantic Division Brigadier General William Graham, granting Rep. Zeldin’s request to perform emergency dredging of the Moriches Inlet. This emergency declaration began the process of coordinating funding and permits so dredging vessels can begin work. I've had enough, and I know so have all of you. We will organize, centralize, and come as one from now on in the fight fight for FAIR, & EQUITABLE FISHING REGULATIONS FOR NY RECREATIONAL FISHERMEN! Stand by.... Strength in numbers coming soon. GET READY TO JOIN THE FIGHT! The NY RFHFA website and socialized media pages will be continuously updated in order to bring you the latest news that impact ALL recreational fishermen here in NYS. Say for some reason, that there was a complete shake-up of the recreational side of the NYSDEC MRAC (Marine Resource Advisory Council) in the coming year. 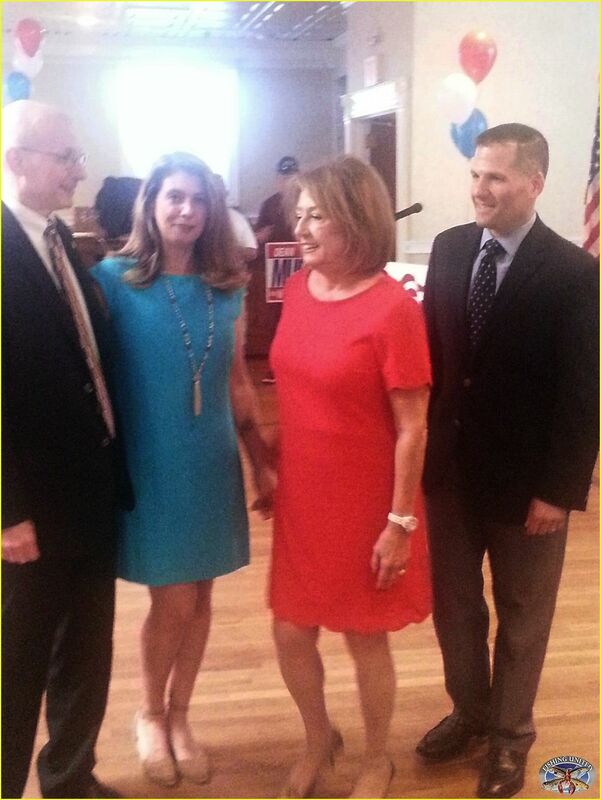 Again, hypothetically speaking, if I could have you endorsed/nominated by Congressman Lee Zeldin, or nominated by the NY state assembly to fill a vacant seat or three, who would be interested? 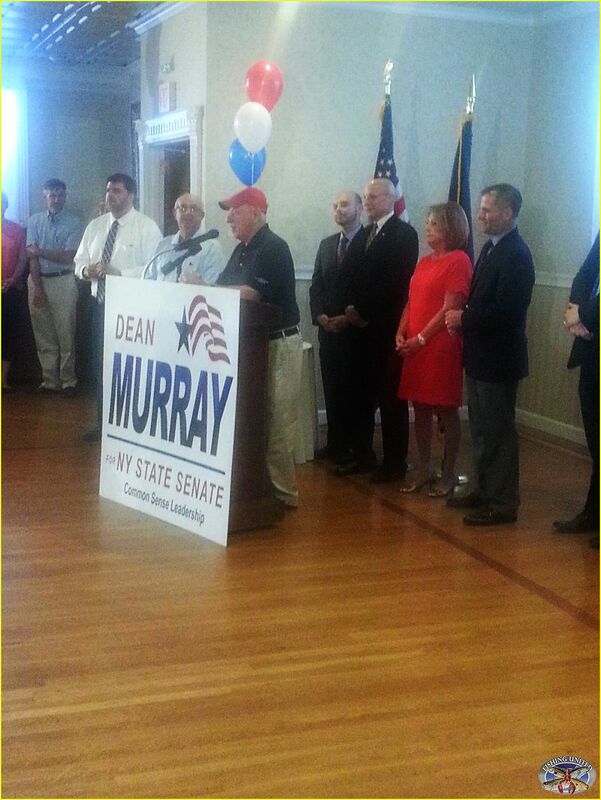 Who would be committed enough to step in and accurately represent the recreational fishermen of NY's marine district? Humor me....post if you would be interested. I’m ready to replace some of the people who would rather not be there , next trip off I’ll go to belle Meade road and start the process!!! 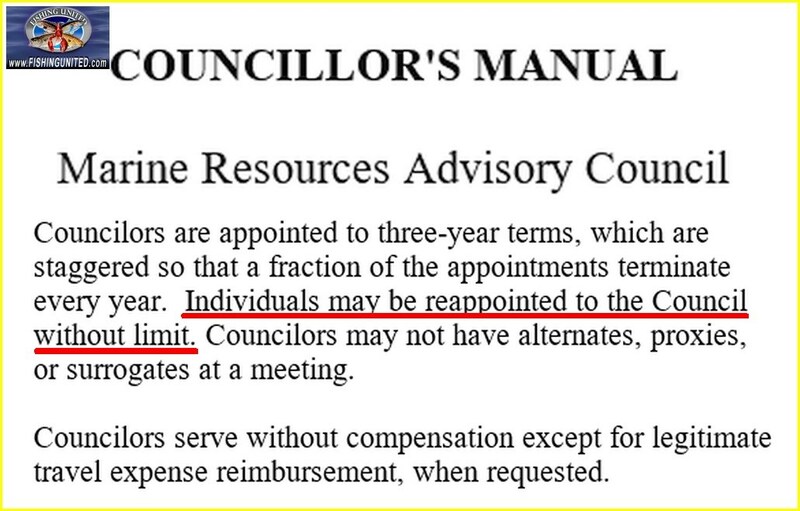 NO TERM LIMITS 'LOOPHOLE' FOR MRAC ADVISORS? How do we have an NYS advisory board where you have councilors who have literally can stay at their seat at the table for an unlimited period of time>? Cronyism, dictatorship, corruption, unlimited appointments by the powers that be to prop up their own agenda will not fly anymore! If we have to have some legislation written up, and pushed through to put an end to this, we will. Really Jim, because not only I, but a number of other vessel owners and fishermen we know, still cannot find one who is happy....well, that is not correct either as it seems there were a number of happy MRAC - Recreational Advisors who were at this same meeting! Just ask them..... and we will come the next meeting in July. "How high above the Target the the BSB stock have to be in order to get some reasonable liberalization in the regulations?" So far, and with noted industry for-hire captains such as Jeff Gutman and Joe Tangel bringing this one sentence up each and every time at the meetings on getting some fixed number from the fish-crats in order that fishermen can some how enjoy fishing upon the most robust stock being mismanaged by the MAFMC. "You end up taking your family to the lovely ballpark at Camden Yards and it just so happens that a home run ball hit by the Yankees Aaron Judge ends up in your son or daughters hands and then some Baltimore fan grabs it and tosses it back on the field because it wasn't hit by someone on their team?" How do you think your son and daughter would feel after catching a home run ball, then having it taken and tossed away for no good reason other than someone else felt you should not keep it? Would that be a good experience to talk about on the car ride back home? Anyhow, just the other night here in the once Empire State, there was a commercial fishing meeting and somehow NYS DEC Director Gilmore brings up the NY RFHFA in the discussion. Hmmmm.....why, and I should add a typical and disturbing EYE ROLL by the King of Mardi Gras, that being Jim Gilmore when talking about "just another fishing group." Just another fishing group....let that sink in for a moment since the NY RFHFA has been known to the public for maybe less than two week and Jim Gilmore is talking about it...as well as his sidekick Michael Frisk. It begs a few questions on why he would bring it up, and it does seem a few RECREATIONAL MRAC advisors might be a little worried that they have been around longer than the furniture at the DEC Bunker in East Seatucket and might end up.... as well as giving Jim Gilmore the "heads up" that something is brewing with an organized group of well known fishermen looking for change as we are all sick and tired of the 'dog and pony' show that the head ringmaster has allowed to go on for all to many years. 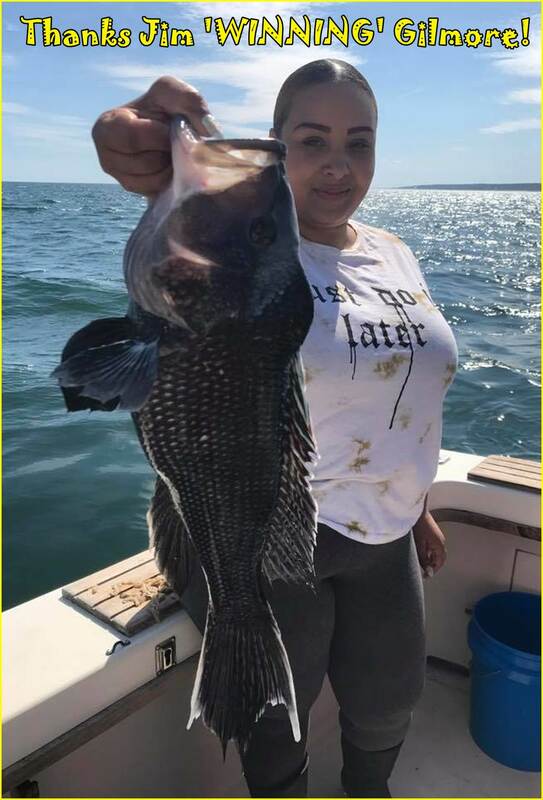 1- Blackback Flounder "can't do addition" closed season from May 31st (yes the last day of the open season ends before the end of the month) while our neighboring states or Rhode Island, Connecticut and New Jersey are open until New Years eve. 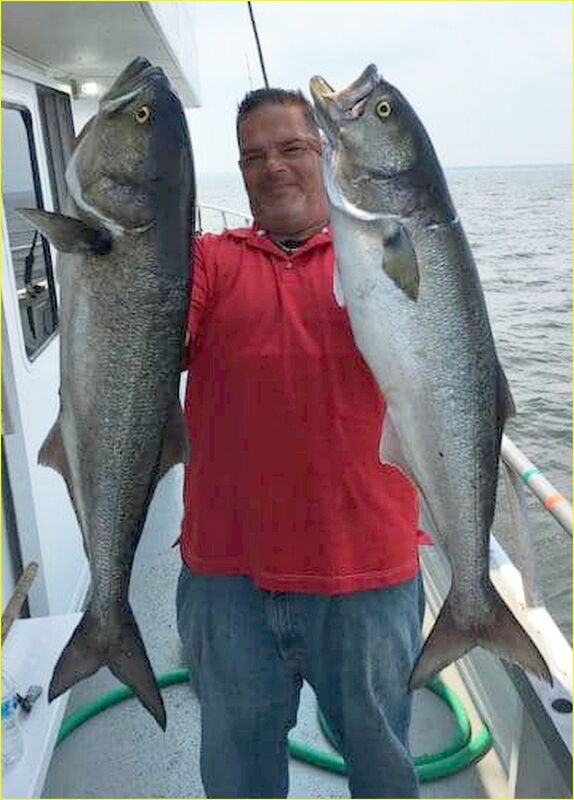 2- Long Island Sound "smash and grab" against fishermen who target blackfish now have 1 less fish to take home in the fall of 2018. 3- The "three card monte" pulled at the March meeting two years ago with everyone finding out 2 minutes before the start of the meeting that the striped bass possession limit would now be 1...this after previous MRAC Councilor Paul Risi did some math and came up with a way to meet the required ASMFC reduction and anglers would be able to retain two fish. 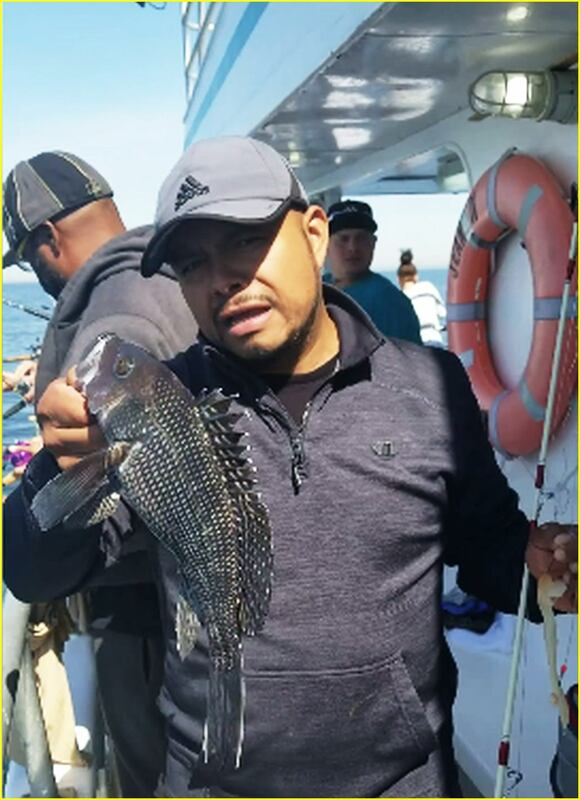 4- Winter Black Sea Bass fishing....a true "bait & switch" which had our own Chief, John Maniscalco voting NO for an opening at the October meeting and the measure passed. Then at the November meeting with what was a truly bias and factually inaccurate ppt. discussion on how many days would be lost by opening up BSB fishing in February....and we had almost all of the recreational advisors voting no (one abstained) while we had a commercial advisor (2 in fact) support the opening! (Oh by the way, ANYONE who wishes to debate me on this, can contact me, and I will publicly note our discussion on this specific topic). 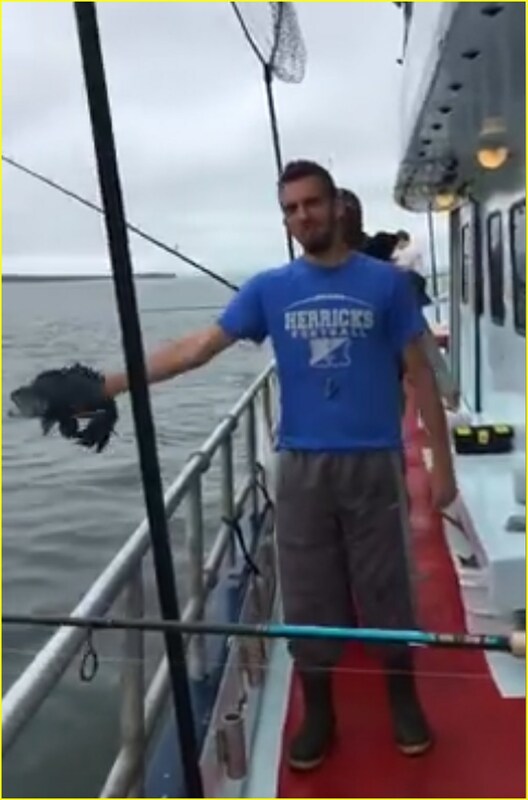 So here are the reasons why NYS DEC Director Jim Gilmore cannot understand why "just another organization" will now be showing up at the meetings....maybe with the press in tow.... maybe in sending emails to both federal and state politicians as well as the commissioner of this agency on your demeanor and disrespect of the NYS fishing industry and more so, fishermen in this state. 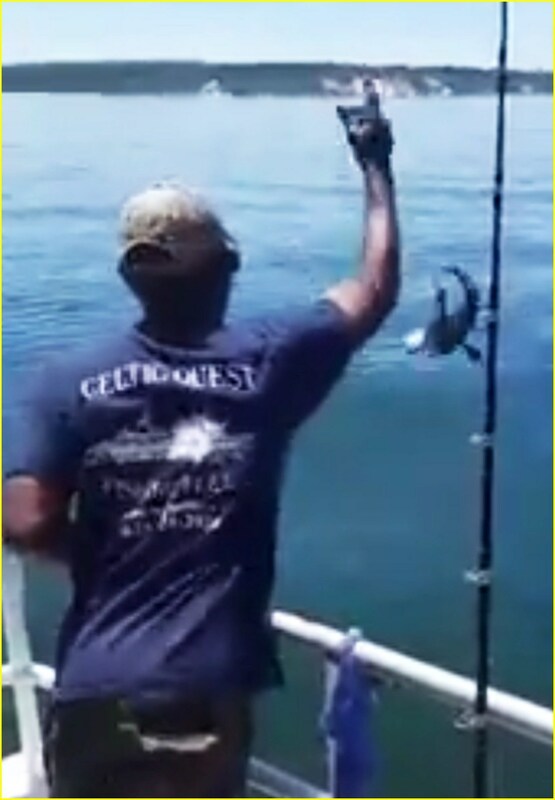 As many of us saw on socialized media this weekend, NYS DEC Director Jim Gilmore was thanked multiple times on videos posted by fishermen out on the fishing grounds, and "the thanking" was in jest to his claims on how many fishermen on Long Island and in NYC are so happy with the BSB regs for 2018. I would like to remind everyone that DEC Director Gilmore is just the poster child for the ultra-constrained NYS regulatory environment we have in the marine district for both the recreational and commercial sectors, and the ire should be directed at the current situation playing out within our nations capitol with the MODERN FISH ACT and the manipulations of the language within both the Senate and House versions of this bill. I do not want to dwell on the behind the scenes mumbo-jumbo that some of our congress-critters are engaged in (of course due to $$$$$$$ corporate and ENGO influence it now appears) since I just wish to pass along a few talking points as I wish to keep this discussion brief. 1- I HAVE ALWAYS BEEN AGAINST what we know about the Modern Fish Act, and I did point out the issues within as I posted the relevant sections within the Senate version - Wicker Substitute a few months ago. 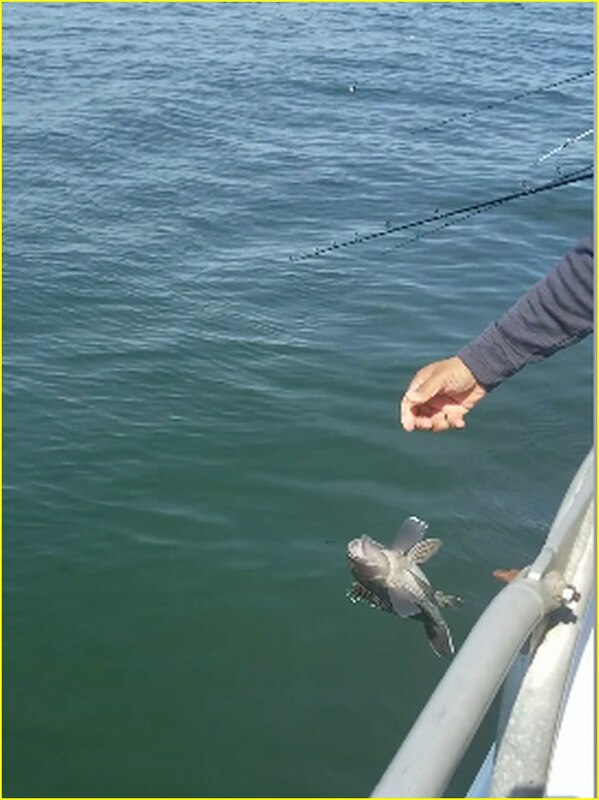 2- Right now we are in a artificially-created regulatory crisis with a number of important fish stocks and in the thick of it is with Black Sea Bass and Summer Flounder in the MAFMC mgmt. region and ARS - American Red Snapper in the Southern and Gulf mgmt. regions. Of course there are those who are selling the regulatory snake-oil that the passing of this legislation will solve the constrained short season and by-catch possession limits that these three fisheries have been under over the past several years....it will not, and in fact there is the poison-pill language now in the bill which almost everyone has failed to mention. 3- As pointed out on the my timeline with Section 104 - REBUILDING OVERFISHED FISHERIES on pages 10 through 12: "with stocks not rebuilding or showing the rebuilding progress within the defined time frame - THAT HAS AT LEAST A 75% CHANCE OF REBUILDING - it goes right back to the black hole (aka the Death Star), better known as the SSC" (Scientific & Statistical Committee). Folks...as we are currently living through with the actions taken by the SSC, this is NOT THE PLACE we want to give any more regulatory power to in managing our fisheries. As I have previously stated, the MODERN FISH ACT with its current legislative language, is not what we will support, and I do hope all you feel the same too when asked.....period. Another troubling issues that has recently come to our attention is the "out of left field" push by certain individuals who are promoting a cut of the current recreational BLUEFISH possession limit from 15 fish down to 5 fish. At this time the MAFMC is undergoing a scoping process for the BLUEFISH ALLOCATION AMENDMENT TO THE BLUEFISH MANAGEMENT PLAN, where we may be forced to deal with major regulatory changes, even though over the past decade on bluefish recreational harvest and catch, the trend on 'Catch' has been down but on 'Harvest' has been extremely stable since the early 1990's. 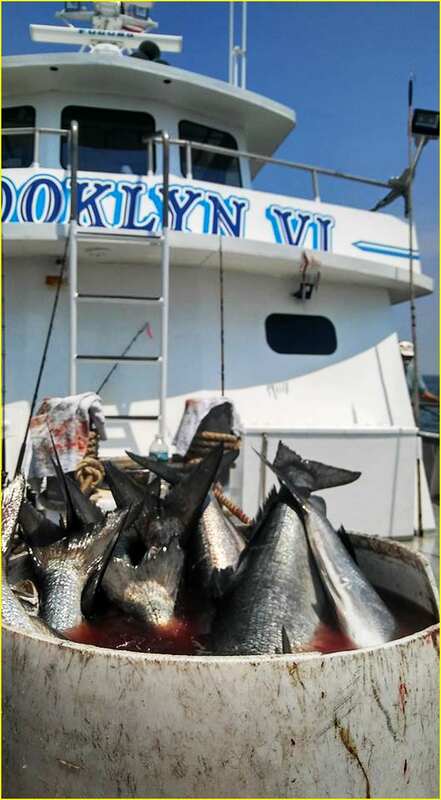 As a number of owner/operators within the bluefish fishery have noted that there has been a combination of climate change events over this time period which has impacted both the stock and the preliminary and secondary forage food within inshore and near coastal waters. 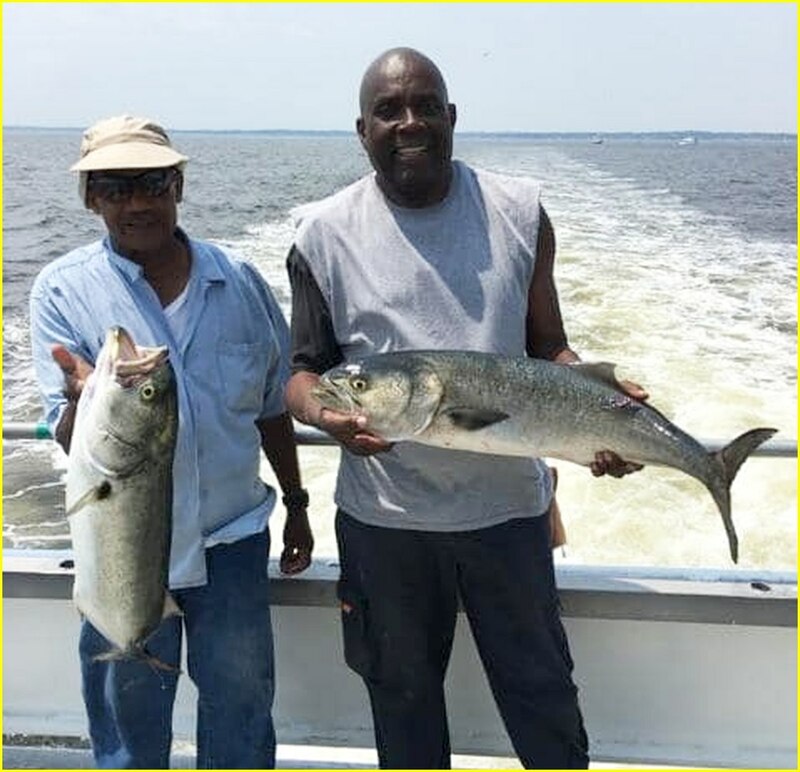 It has resulted in inconsistent and at times sparse spring, summer and fall fishing as the migratory patterns have changed for New York and New Jersey anglers whether fishing along the shoreline, or within the bays, sounds, harbors and on our traditional nearshore bluefish grounds. In fact as we continue to experience, 'Night Blues' and targeting bluefish during the evening hours from 7pm to 2am, has become a rarity, with even the most noted operations are now involved in the late afternoon and early evening 'Family Fishing' mixed bag trips due to the lack of bluefish seen within 25 miles from the major for-hire ports in the NY-NJ BIGHT. 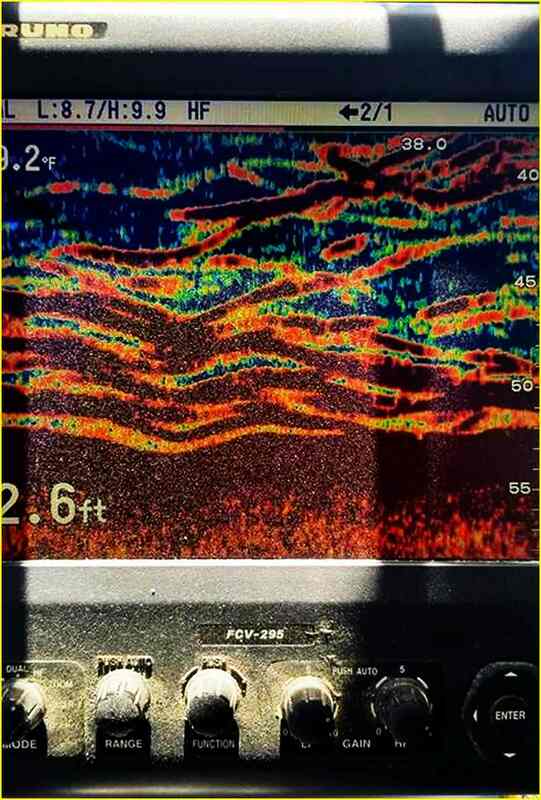 To sum this up, this is not and has never been an over-harvest issue by the for-hire vessels and private boat fishermen in our region, and we along with a number of noted for-hire captains have pointed this out. 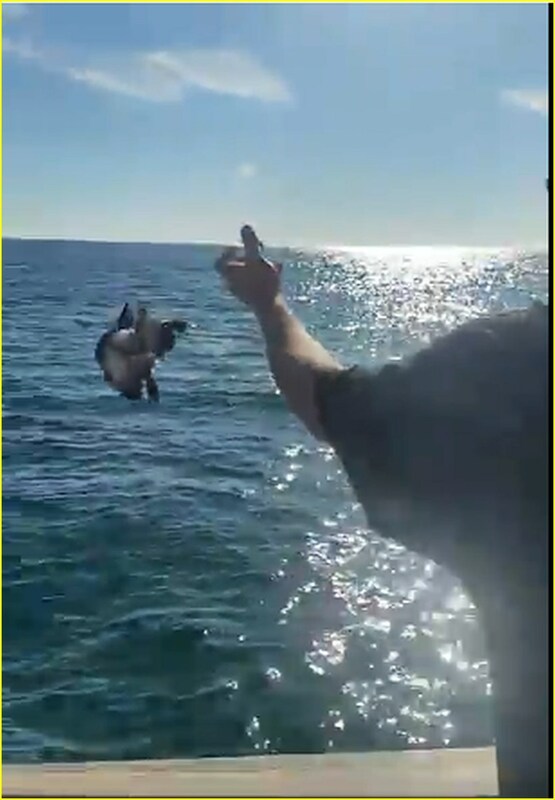 As an example and seen this season, "for some reason, migrating bluefish in the spring now take a offshore northward trek as they travel to and past southern New England waters, and even with bluefish regularly caught in the spring by both commercial and for-hire boats while targeting tilefish in our local canyons." "Results from the most recent benchmark stock assessment indicate that the bluefish stock is not overfished and overfishing was not occurring in 2014 relative to the BRP (biological reference points) from the 2015 SAW/SARC 60." 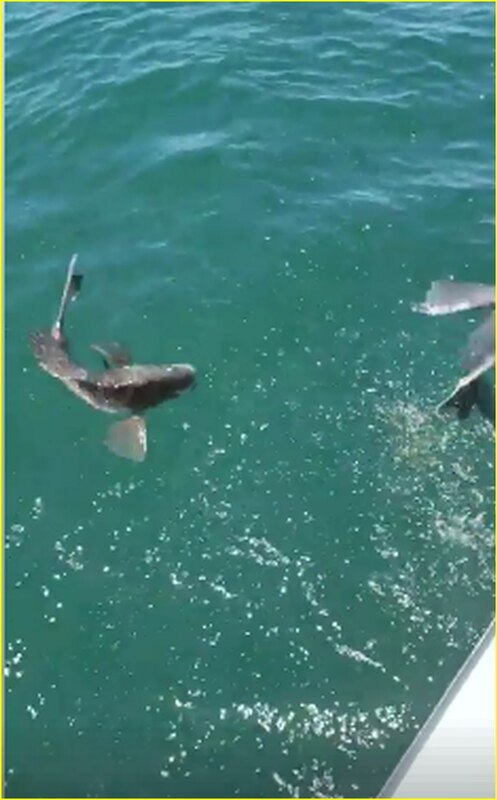 Yes fishermen, those are the facts, not the ENGO-like propaganda that is being shoveled out on some fishing forums which will have a negative economic impact not only the for-hire industry, but as much with our local bait & tackle shops. "This “Issue” is in place to allow the public to identify ANY OTHER ISSUES associated with the fishery. COMMENTS DO NOT NEED TO BE LIMITED TO ISSUES INCLUDED IN THIS DOCUMENT." Finally, please support some of the politicians who are standing up for your right to have access to our local fisheries. 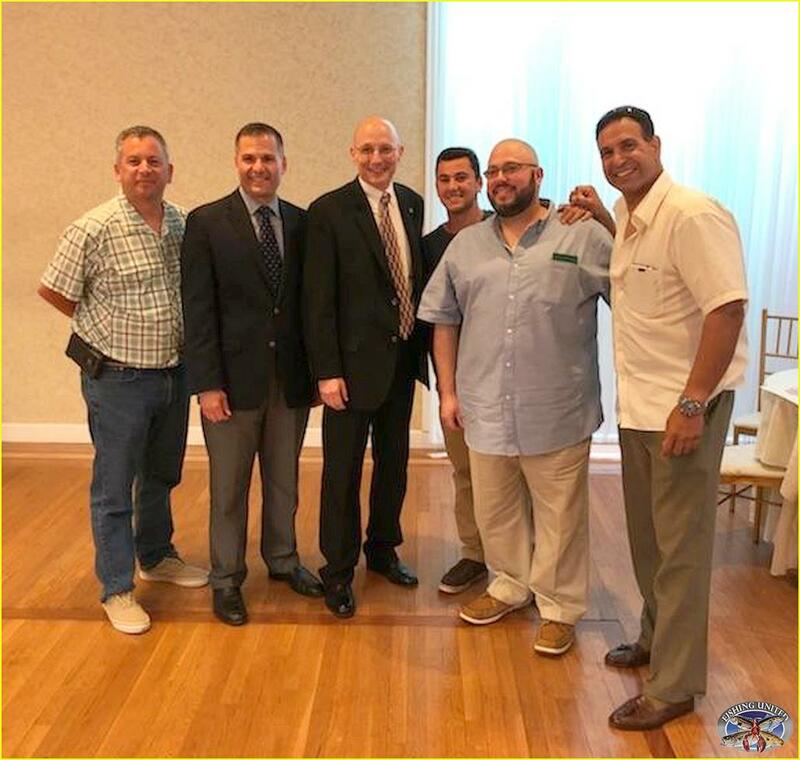 Congressman Zeldin along with NYS Assemblyman Dean Murray have been friends of those living and working within the coastal communities here on Long Island. There are a few others which are now stepping up, and NY RFHFA - President Joe Tangel with point out who is standing up for fishermen and as much willing to support 'US' in making SUBSTANTIAL changes to what is going on within the East Seatucket DEC Bunker. The response from the fishing public has been incredible, and many thanks to those who have donated already! Donations starting to roll in!!! Please do the same, and we will get this thing going!!! Be a part of what is going to be by far, the biggest anglers rights, political action organization in New York!!! If your boat/name is not on the members list, we will get it up shortly after we get your info. After donating go back and click on the subscribe button to be part of emails, newsletters, etc. We have been working tirelessly behind the scenes the past month, making political connections, charting out a course, and making waves in the fisheries management system. 100% of donations will be used to fight for FAIR & EQUITABLE REGULATIONS FOR ANGLERS IN NY's MARINE DISTRICT!!! Time to get rocking!!! As soon as we get a few donations, we will have NY RFHFA stickers printed up for everyone, and we will get flyers out to all of the member boats, to give out when collecting fare, instructing people how to join. WE NEED YOU - WITH STRENGTH IN NUMBERS MOVING FORWARD. We are your voice at the regulatory table. Just an incredible day today for the newly formed New York Recreational and For-Hire Fishing Alliance! 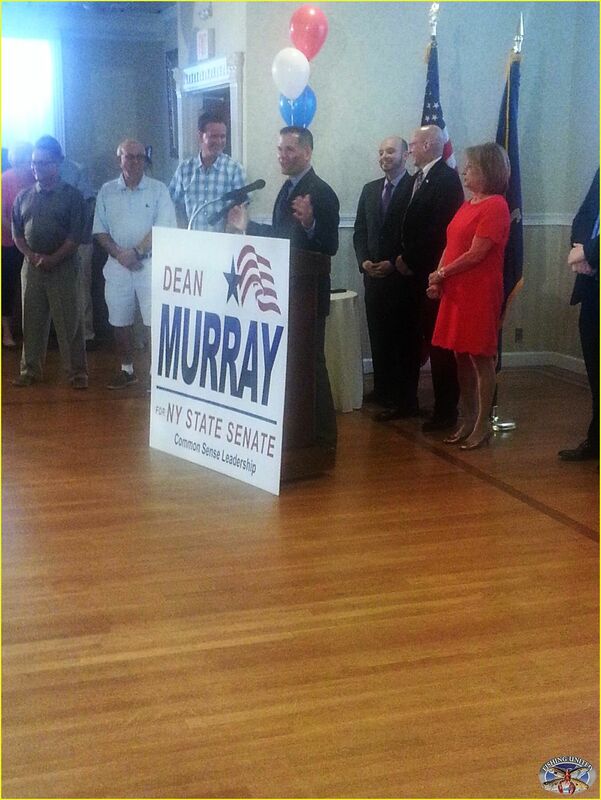 Meself, Steve Ec Newell Man Cannizzo, Anthony Testa, & Anthony Testa Jr. attended Assemblyman Dean Murray's campaign kickoff rally for State Senate. 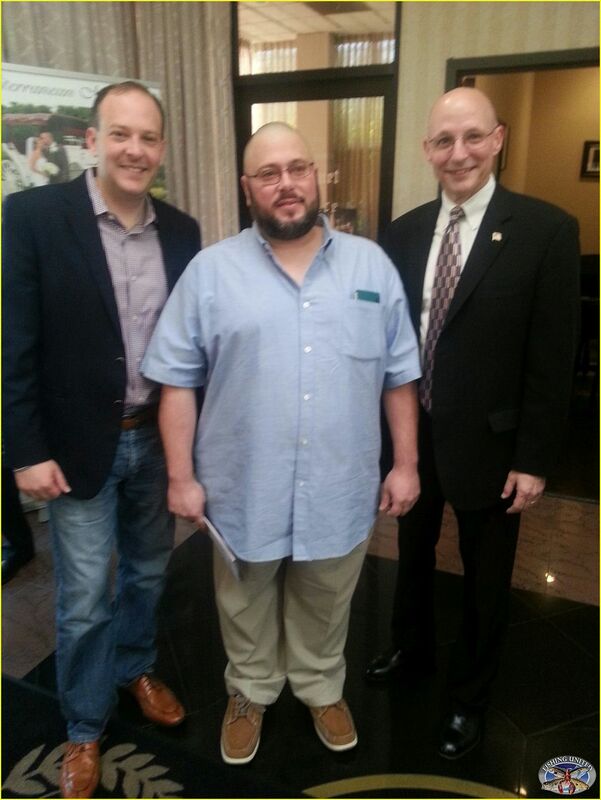 We got to speak with Congressman Lee Zeldin and update him on what we are doing. 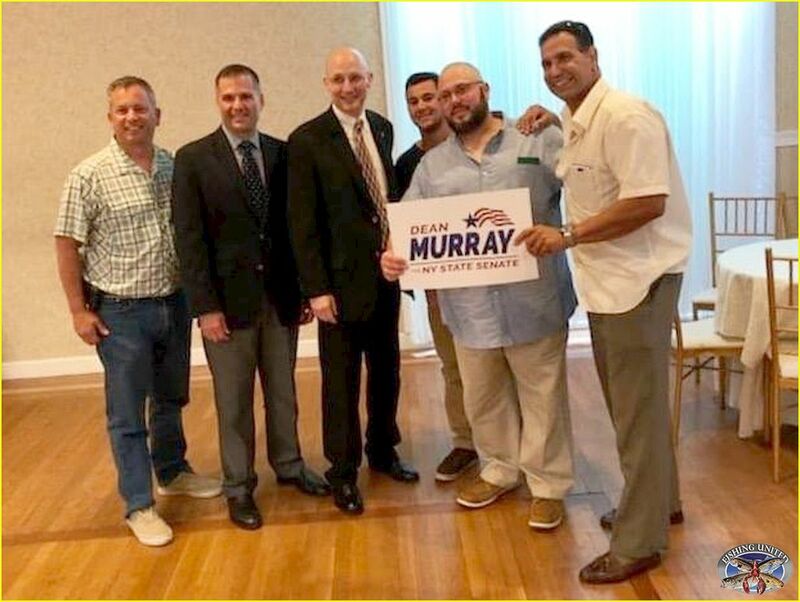 Also thanks to Dean Murray's outreach, we got a private meeting with himself, and Republican gubernatorial candidate Marcus Molinaro. To say that the meeting went well is an understatement! 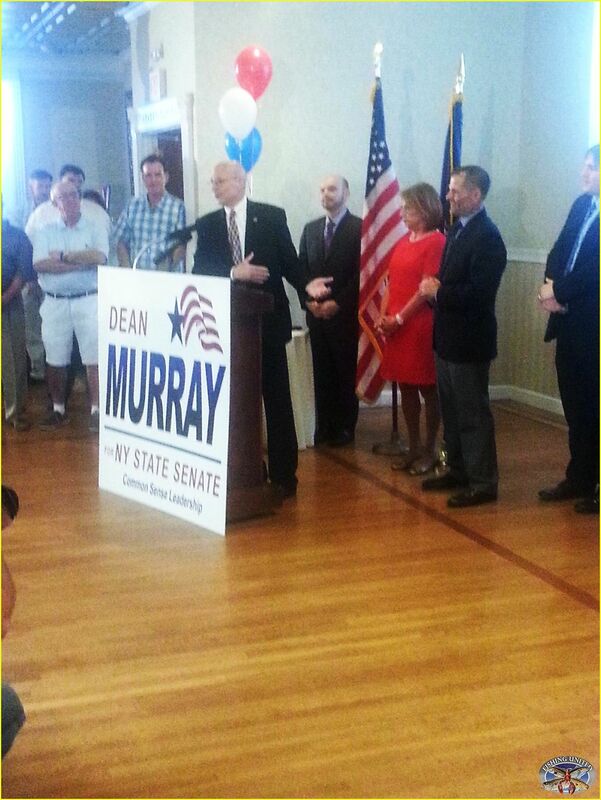 Dean has supported our fight for fair and equitable fishing regulations in NY since the beginning. 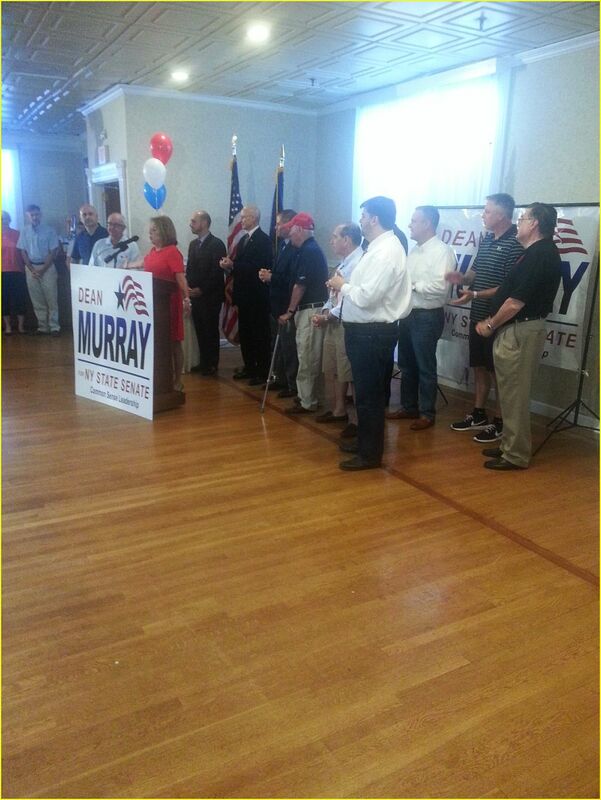 He is our guy, along with Congressman Lee Zeldin. 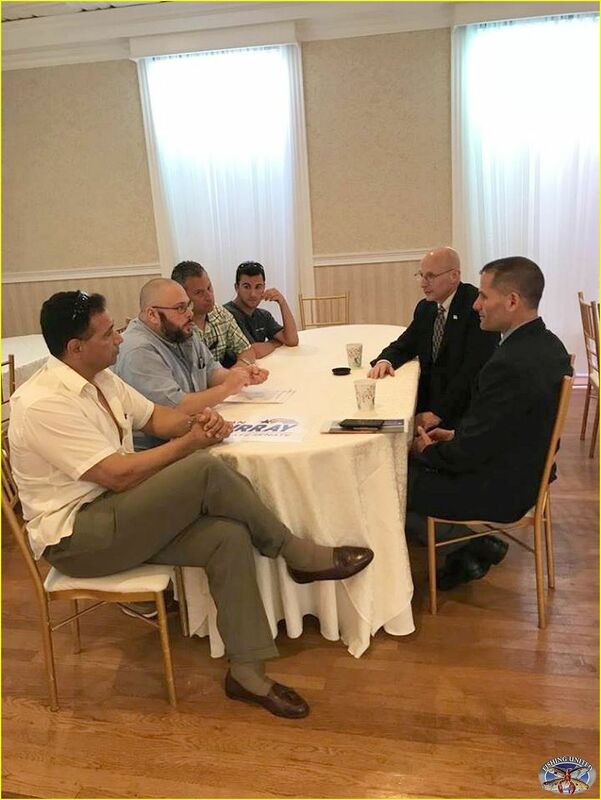 The NY RFHFA now supports Marc Molinaro for governor of NY. We need the change at the top that Marc will bring! BIG THINGS IN THE WORKS!!!! 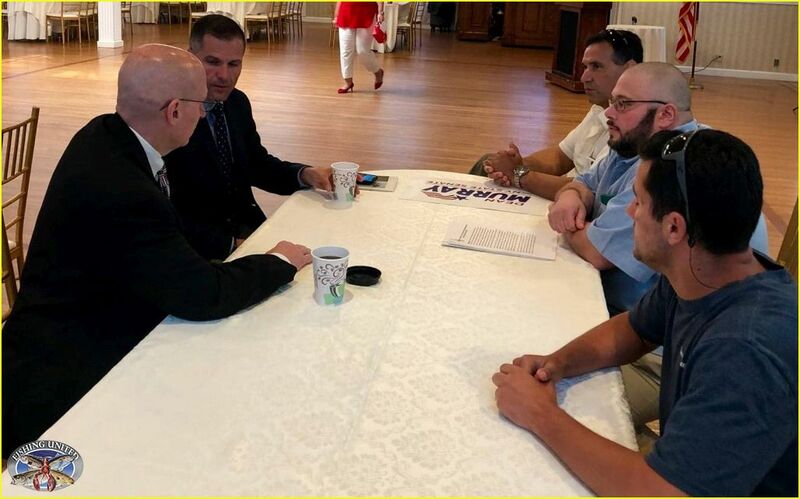 What can we say on this gorgeous Saturday morning as Captain Joe 'KING COD' along with Anthony Testa Sr, Anthony Testa Jr. and myself attended an event as well as meeting with those politicians who are right there in fighting for regulatory 'sanity' both on the federal and state level. 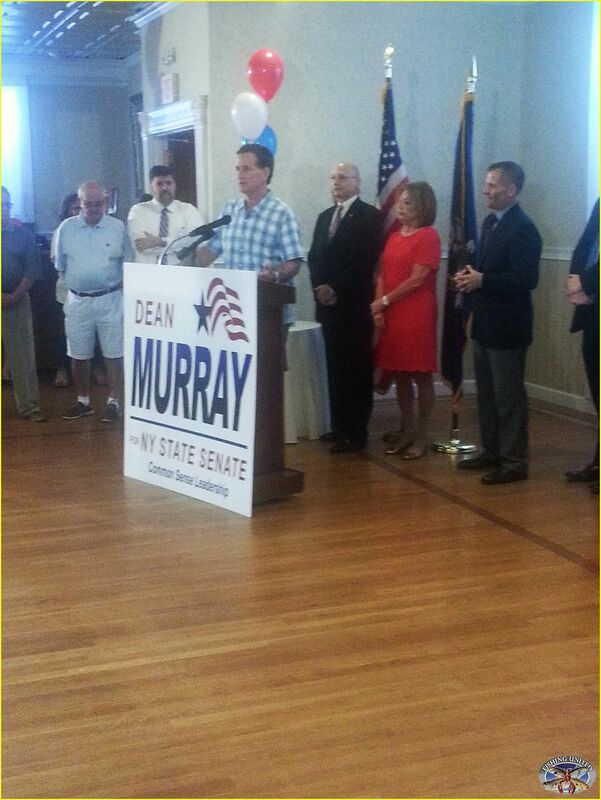 A very big thanks to Congressman Lee Zeldin, Assemblyman and soon to be State Senator Dean Murray as well as the Republican candidate for NY Governor Marc Molinaro. The time they gave us with the NY RFHFA during and after this event will not be forgotten! There is one other point I like to leave all of you with and repeated by the head of the NY State Senate John Flanagan is that NYS is not only slipping sideways, but going backwards as residents of this state are fleeing in droves to greener pastures due to unending burdensome taxes and the mindset that working people are only useful in funding the Albany spending machine. 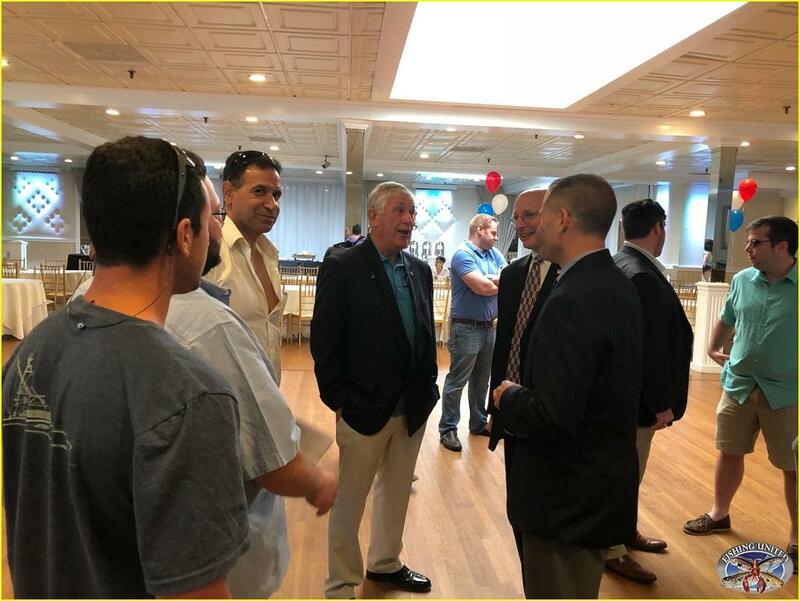 Anyhow we are fortunate to have Congressman Lee Zeldin and Assemblyman Dean Murray, as well as the Dutchess County Executive Marc Molinaro in our corner.